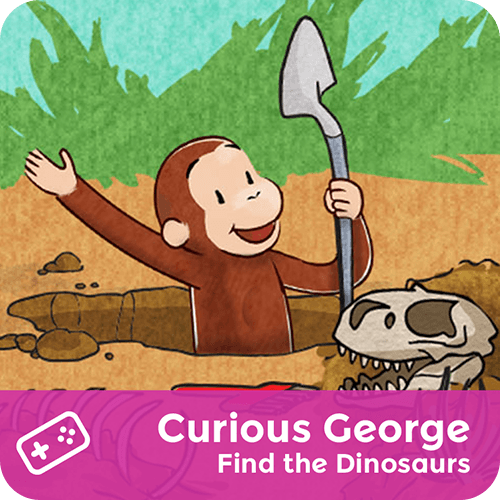 Curious George needs help finding dinosaur bones for the museum. First, use a shovel to dig for bones. Then, use a brush to clean off the dirt. Finally, put them together to make a dinosaur skeleton.